Wedding Check List for Hiring AV Equipment, Venues, Outdoor Garden Weddings and Marquee Weddings. Avoid that last minute rush and a whole lot of stress by planning ahead. Have you booked your venue? Do you need a florist, caterer, or wedding planner? What kind of lighting will you need? What kind of music will you play and will you need any extra audio equipment? Create a checklist of all the things you need to do to ensure a smooth lead up to your big day. If you’re having a summer wedding items such as sunscreen, water bottles, mosquito repellant, and fans will help keep you and your guests comfortable. For a winter wedding, blankets or heaters are a nice thought. If your wedding is outdoors, be sure to have a “wet weather plan” to avoid being caught out! If you’re planning a wedding at a licensed venue this may not be so high on your list, however if you are planning a wedding in a public park, ensure you book the area and have any permits required. If you are having your wedding at home, be considerate of your neighbours. Let them know of your plans and make sure you’re aware of any noise restrictions in the area. Is there parking available? Will you need to help your guests find their way with signage or lighting? For more remote or hard to get to areas, you may wish to arrange a mini-bus or pre-book taxi’s for people to get to and from your event. If your wedding is continuing on into the evening you will need to supply ample lighting. 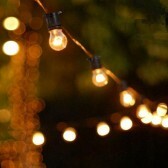 Festoons and fairylights are a lovely way to light up an area while adding character. 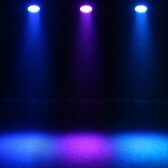 If you plan on having a dancefloor you may want to have some different coloured effects lights. 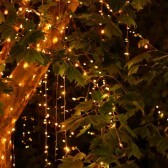 And don’t forget to provide enough lighting for your guests to find their way back to their cars! How many guests will be present? 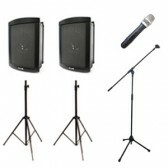 Will the equipment be used just for speeches or music as well? Will you be having a DJ or band? Be sure you have some of the finer details when booking this equipment so no one misses out! 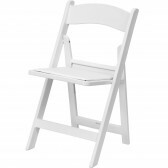 Make sure you provide sufficient seating for your guests. You may not have room for all your guests to sit, although supplying seating for the elderly and guests with small children is essential. Avoid injuries and damaged shoes by ensuring you have a flat and stable surface for dancing. High heels and surfaces such as grass or decking with large gaps are not a good mix! No one wants their wedding cake to melt! Keep your food and drinks safe from the weather. If you need to hire extra ovens or fridges you may also need a generator for additional power. You will also need enough glasses, crockery, and cutlery for all your guests. 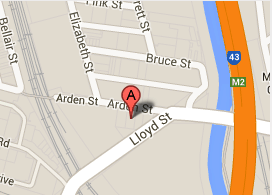 You will want to ensure you have bathroom facilities nearby. If this is your home bathroom, be sure to supply your guests with enough soaps, hand towels and toilet paper to last the duration of the event. If you need to hire portable bathrooms there are a range of different options available to suit your requirements. Be sure to check how much power you will need for these ahead of time as you don’t want to be left in the dark after someone tries to dry their hands! Call Wwave on 03 9372 5244 we can give you more tips on having a great wedding. We make sure all your AV, Lighting and power requirements are up to date, working and ready for your special day.